Plans for housing on a former north Northumberland village school site have been lodged once more after a previous bid was rejected. The first application for 30 homes in Milfield, north of Wooler on the A697, was described as a ‘very raw deal’ for the village when it was thrown out by councillors a couple of months ago. The school has not been in use since 2009 and the ‘closed and overgrown’ site, off Wheatriggs, features a school building and playing fields. The applicant, Gleeson Homes and Regeneration, has agreed to purchase the site from Northumberland County Council to develop it for residential use. And council planning officers had recommended approval at the September meeting of the North Northumberland Local Area Council. However, a majority of the committee agreed with Coun Robbie Moore, who said that the loss of open green space, ie, the former playing fields, meant the development was not sustainable in social or environmental terms. 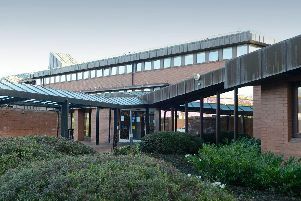 The bid was rejected by eight votes to three, with one abstention, despite some members and the planners considering it not reasonable to withhold permission on these grounds given the fields have not been in use since the school closed and the likelihood is that they would remain redundant. However, the plans appear to show the same layout and the same split of tenures – nine two-bedroom, semi-detached properties, 18 three-bedroom homes (nine of which would be detached), and three four-bedroom detached houses. The parish council – which opposed the first proposals, with chairman Coun David Hughes describing them as ‘municipal vandalism’ – has contacted the developer seeking ‘a clear statement of what changes have been made’ since the previous application. Nonetheless, the planning statement concludes: ‘At a national, regional and local planning policy level, there remains a priority for development in urban areas on previously-developed land to which this site of 0.90 hectares of land would accord.